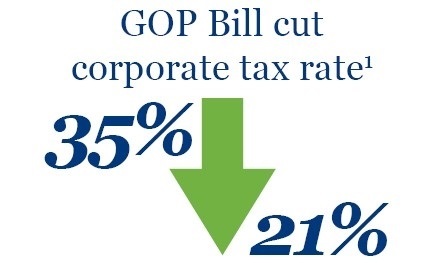 Clients have reached out to me recently after reading newspaper stories about large employers that have increased their 401(k) match because of the corporate tax cuts in the new tax-reform law. 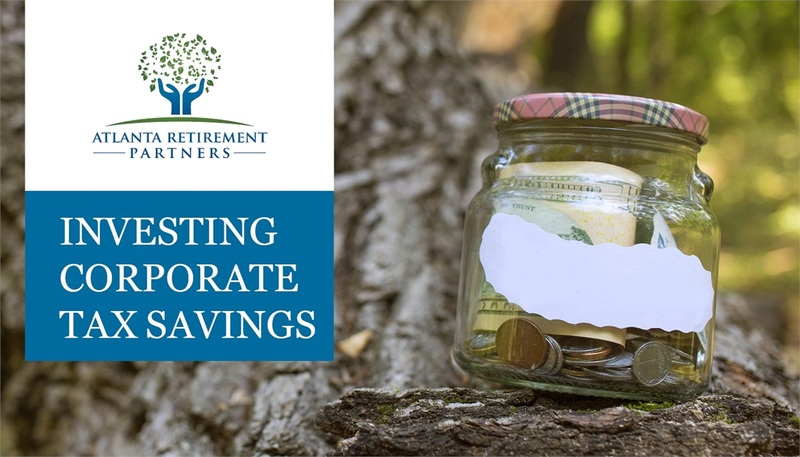 These sponsors wonder what trends I’m seeing for smaller employers investing some of their corporate tax savings to help employees save more for retirement. Here in Atlanta, like in plenty of other cities, we have a very competitive labor market. So it’s a good time for employers to reevaluate the competitiveness of their match design, something we find many haven’t done in at least five years. We use LPL Financial’s Plan Design Optimization Report tool to help clients evaluate a possible match change, with the aim of finding the formula that best incentivizes participants to defer and meets the employer’s budget. We show clients three or four “stretch” match alternatives that incent participants to defer more, while keeping the employer’s spend the same. With some clients now thinking about bumping up their match, we’re showing those sponsors a couple of extra options, and for each option our report projects the impacts on both that employer’s costs and employees’ savings. Many of our 401(k) plan clients match 50% up to 6% of an employee’s deferred pay. We’re seeing some sponsors think about increasing the match’s applicable deferral limit, to 50% up to 8% or 50% up to 10%. Or they’re contemplating increasing the employer-match percentage, like going to 75% up to 6%. A few clients have asked us to help them look at creating a nonqualified deferred compensation plan for their highly compensated employees (HCEs). These companies have HCEs who want to maximize the income they defer for their retirement savings, but they run up against the 401(k)deferral limits. Just as a match increase can help with recruiting and retaining the broader workforce, starting a nonqualified plan can do the same for a company’s senior executives. But for clients thinking about it, we’re advising them to get the nonqualified plan going by July 1, so their HCEs have time to make enough deferrals to meaningfully impact their 2018 individual taxes. Employers debating whether to invest in a financial wellness program naturally wonder what has a good ROI (return on investment), in the impact on employees’ financial health. We’re working with several clients on a financial wellness program we call a “Boot Camp.” The Boot Camp combines an online-based program, such as Dave Ramsey’s SmartDollar*, with our team coming on-site to do group and one-on-one education sessions for employees in the program. We charge a flat fee to the employer that’s in addition to our regular fee. We believe it works really well when an employer offers an incentive for employees to complete the program. I’m talking about something like an employer facilitating program participants’ access to a student loan repayment program, and contributing a “match” as those employees subsequently make payments. That may go over especially well at companies with a lot of young professionals: I think employees see a whole lot of value in programs like this, and they could think their employer has gone above and beyond to help them get out of their stressful debt situation. We’ve got clients looking at starting to pay all or part of the recordkeeping fee and/or our advisory fee. Of our clients that have made a change, many have decided to pick up the whole fee, and some have decided to split it with participants. How might that work? A sponsor could eliminate all revenue sharing from that plan’s investments, which creates an explicit recordkeeping fee that the employer then pays 100%. Or a sponsor can keep some revenue sharing but put all that money into an ERISA budget account to pay plan expenses, and then pick up administrative costs that exceed the ERISA account’s balance. We’re seeing more employers realize that paying part or all of their plan’s administrative costs gives the company an additional tax-deductible expense, while seeking to significantly increasing participants’ returns over time. Cutting participants’ fees also works toward making an employer’s retirement plan a better recruiting tool, especially for new hires coming from large companies that have the scale to offer lower-fee plans. And subsidizing participant fees also works towards reducing sponsors’ potential fiduciary liability, since future successful participant fee lawsuits may become less likely. I also like this move because lowering fees can motivate more participants to roll money from their accounts at previous employers into that plan—and the larger asset base then helps to get future fee reductions that benefit all of the plan’s participants. *Neither Dave Ramsey nor SmartDollar are affiliates of IFG Advisory, LLC, Atlanta Retirement Partners, or LPL Financial. This information was developed as a general guide to educate plan sponsors, but is not intended as authoritative guidance or tax or legal advice. Each plan has unique requirements, and you should consult your attorney or tax advisor for guidance on your specific situation.